YTV is set to premiere the film adaptation of best-selling YA author Gordon Korman’s Macdonald Hall series, produced in collaboration with Toronto and L.A.-based Aircraft Pictures. 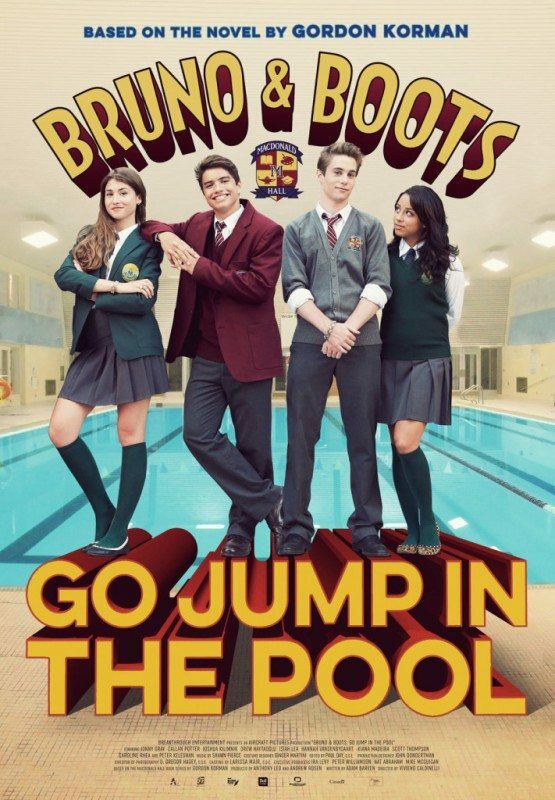 Named after the series’ original title and its star duo, Bruno & Boots: Go Jump in the Pool! follows two pranksters — played by Canadian actors Jonny Gray and Callan Potter — at a prestigious all-boys school. A behind-the-scenes look at the cast will be available via a digital series, Macdonald Hall Diaries, on YTV.com starting Feb. 12. The TV movie will air April 1 at 7:30 p.m. The trailer is available here.